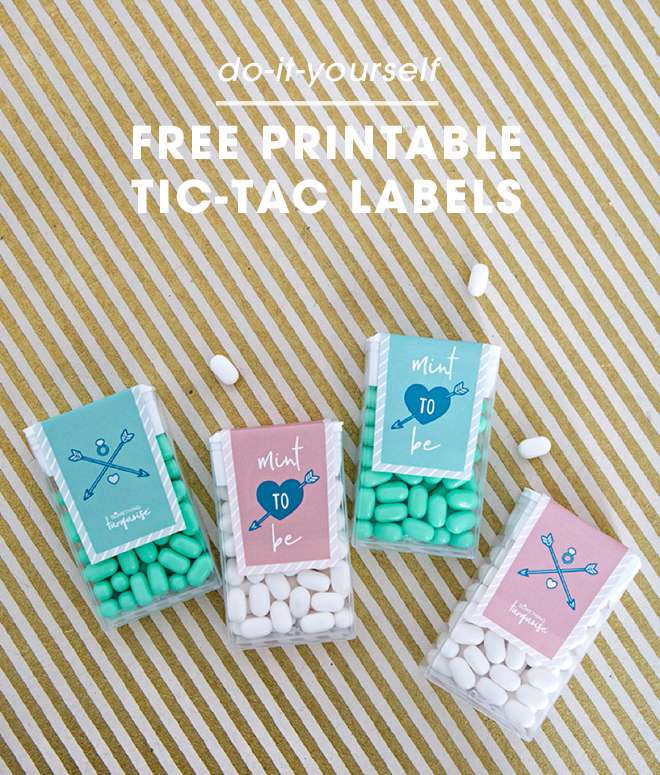 You Have To See These Darling, FREE Printable Tic-Tac Labels! It’s day two of #favorweek… and we’ve got a super quick and totally easy one for you today. 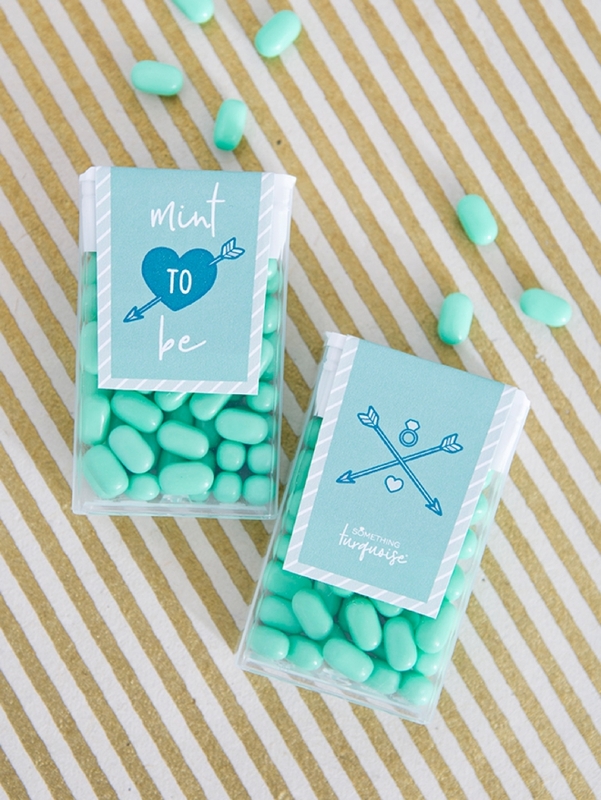 Whip these cutie Tic Tac Favors out in less than 1 minute each for less than $1 each. 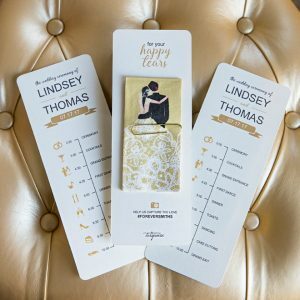 I’m sharing two different label colors for your wedding and two fun options for the holidays. 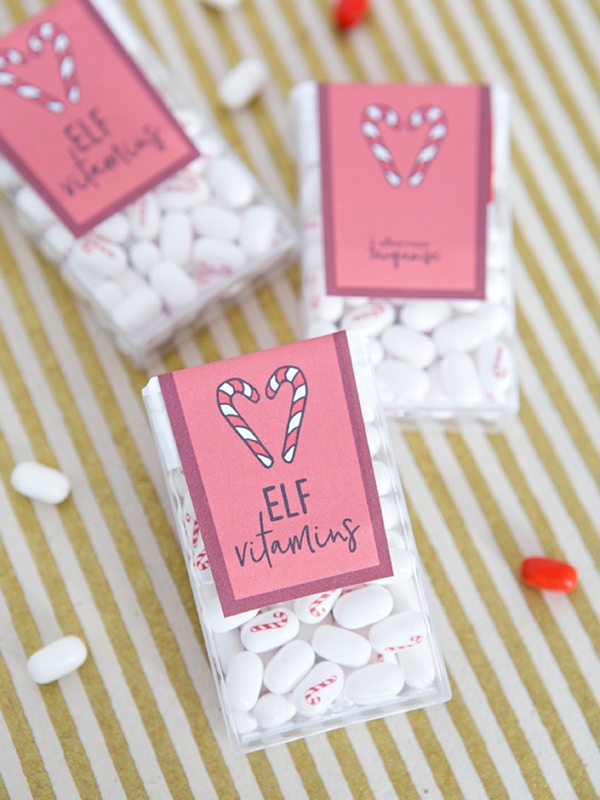 These darling labels instantly make a pack of boring tic-tacs look ultra chic and perfect for gift giving! 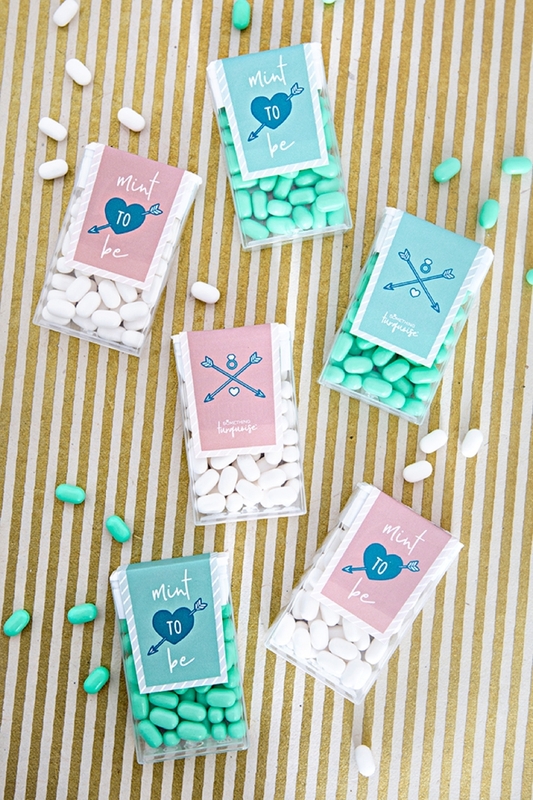 Keep checking back each day this week to see all our fresh + fun new wedding favor ideas that could double as awesome handmade holiday gifts! 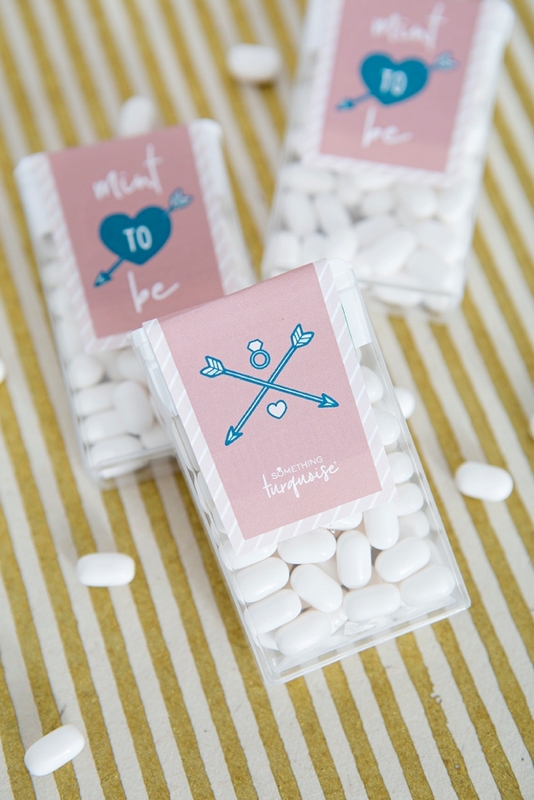 For your wedding, hand them out as guests enter your reception, have them at each place setting or create a cute little display of them! 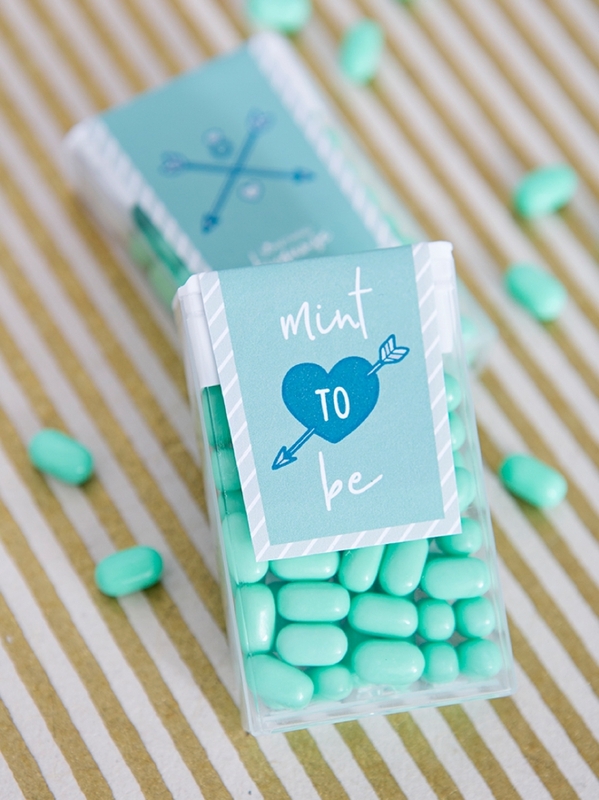 Pick your favorite label color and choice of tic tac flavor to properly match your wedding. 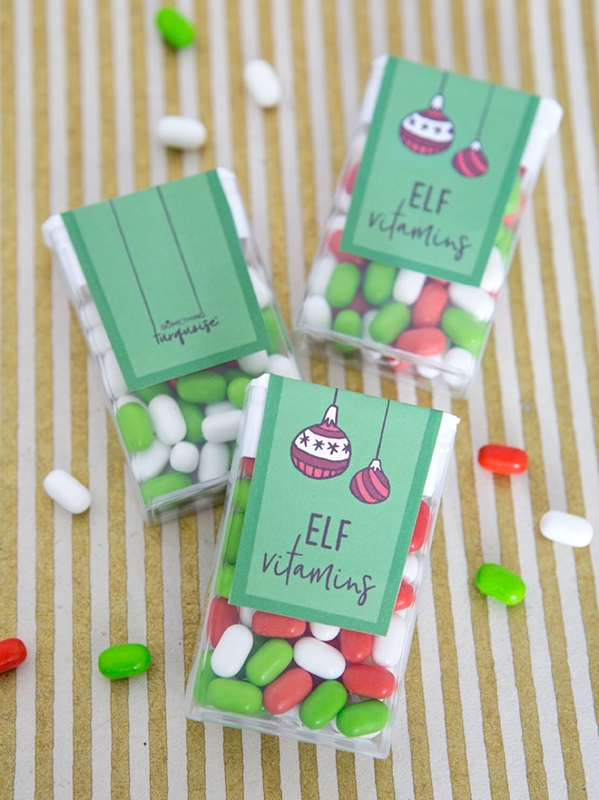 As for the holidays, these cuties would make awesome stocking stuffers as well as the perfect gift wrapping addition to any gift! 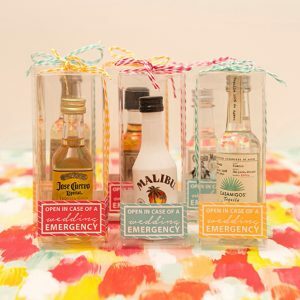 They could even take the place of a bow! 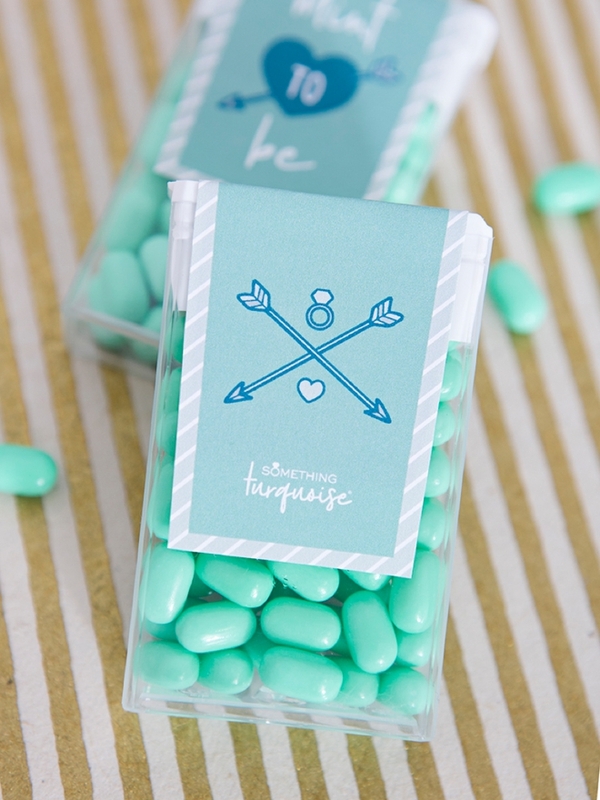 Download our cute labels at the end of the post and print onto 8.5″ x 11″ white sticker paper. Within the printer settings make sure to check print “actual size” and then if you can choose “high quality” on “matte photo paper” for the best look. 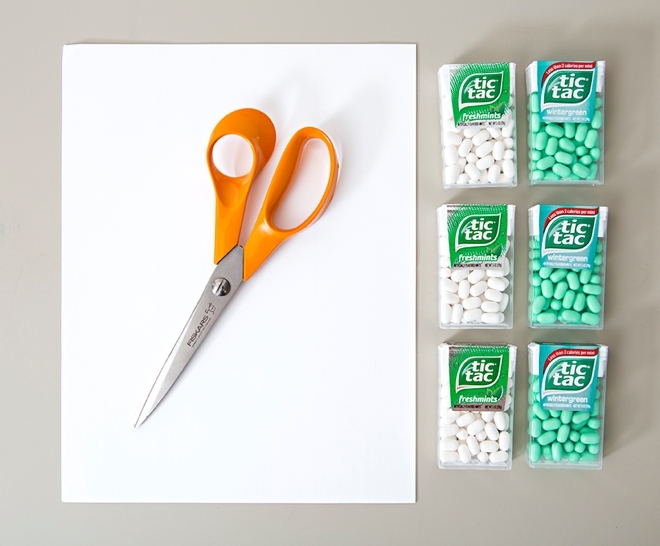 Then trim out each label. There are 8 per sheet. 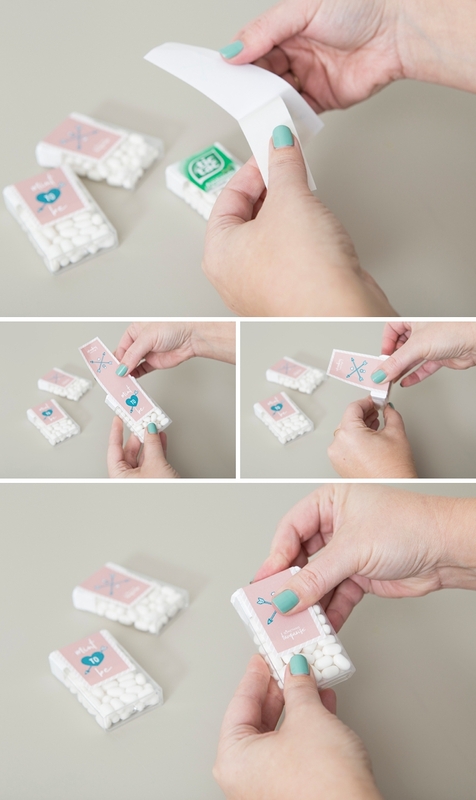 Peel the sticker paper backing from the label, center over the existing tic-tac label and adhere. That’s all there is to it! 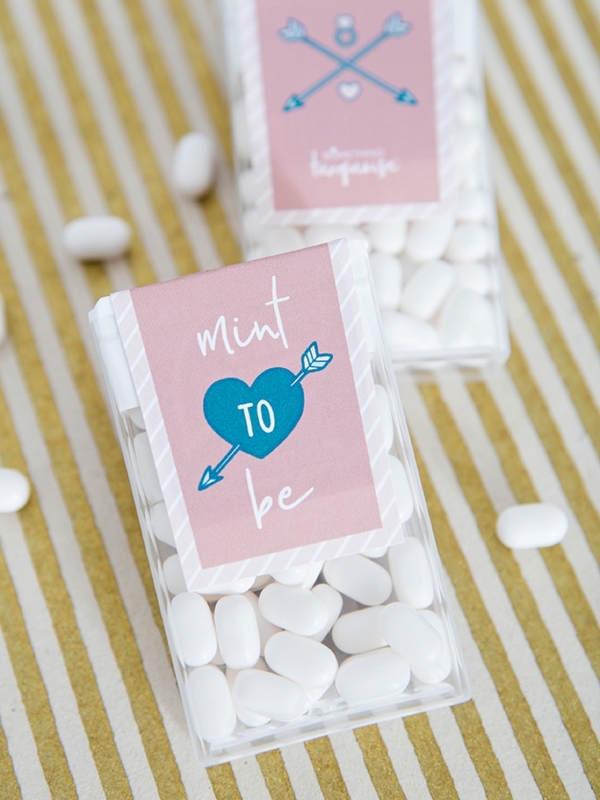 Taking into consideration the price of the sticker paper and printer ink, plus the fact that you can purchase tic tacs in bulk at your local big box store – these favors will easily fall under $1 a piece! 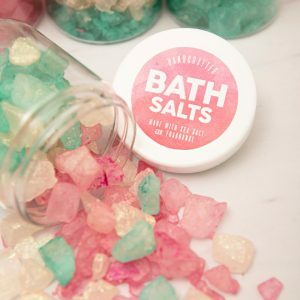 Which totally makes them cute and cost effective!